Informing not Hoarding | Thomas M. Krapu, Ph.D. - Infinite Potential. Corporate & Organizational Coaching Thomas M. Krapu, Ph.D.
Lominger has a competency named Informing (ref). This competency is about how we share information and the impact that that has through our work. Many of us take this impact for granted and aren’t as intentional or as fully impactful as we could be in this area. The subject of this blog entry is how to become more powerful in how you inform others at work. In the course of our work we’re constantly becoming aware of information that is not only helpful to us, but is also helpful to others. Or at least could be. Some people purposely (and characteristically) “hoard” this information as a way of accumulating power in the organization and their work relationships. Common sense tells us how destructive this behavior is. When someone discovers the hoarded information, trust (among other things) is destroyed. 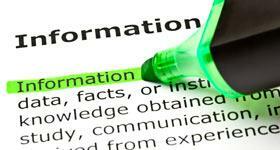 Most “hoarding” of information in organizations is situational or unintentional. If you are unaware of the work of others, you “don’t know what you don’t know”. You are blind to the impact of what you know on others. A perfect example is “I wish you would have told me that.” How often have you heard that? To have the maximum impact with the information you hold, you have to understand the needs of those around you. What are their challenges? What are they trying to achieve through their work? If you don’t know, it is your obligation to find out. When you know, and you “hold them in your mind” then this is a filter that you are constantly using as you sift through the information you encounter each day. When you have a “hit”, the first impulse is to share that information. Why? It helps them and the organization. What do I mean by “situational”? You might not be one of those people who characteristically withholds information. But have you ever held a grudge against someone at work (or in your personal life)? When you became aware of information that might be helpful to them, what did you do? If you withheld the information, then you situationally hoarded the information. Of course if you make a habit of this over time, you will characteristically behave in this way. But others don’t inform me! It is true that we might not always be as informed by others as we might want to be. The most powerful influence we have on being informed by others is by fully informing others ourselves. It brings into play one of the universal and immutable laws of interpersonal relationships: When we are responsive to others, it invites responsiveness in return. If you want to be most impactful in your work, you will know what the needs and challenges and objectives are of the people around you. You will seek this information about them whenever you can, so you are not “in the dark” regarding their work. You will keep them “alive” in your consciousness so that information is filtered in terms that are helpful to them as well as yourself. By the way, this especially includes your boss or manager. A subject of a future blog entry.